Brand new video from Slym Beatz , Dj Crex and dalley titled "The Matter". This joint is just another hit banger. 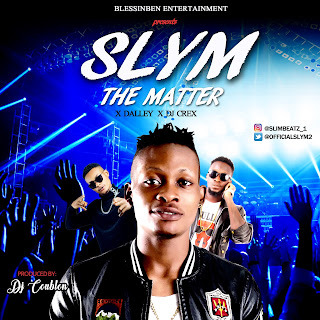 Slym Beatz is a talented singer, song writer, sound engineer and producer best known for producing the hit single “Skibo” by Solidstar. He has produced for top Nigerian acts like Iyanya, Sean Tizzle, Oriste Femi, Sound Sultan and many others.